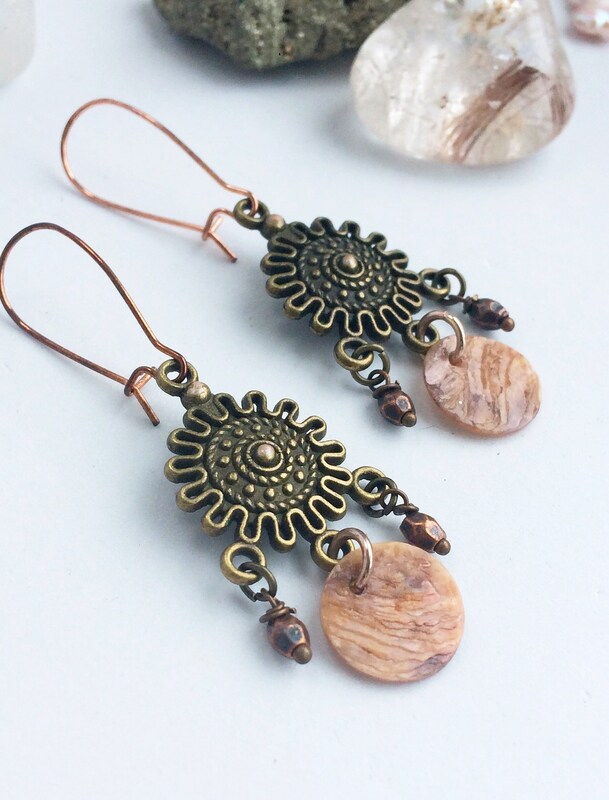 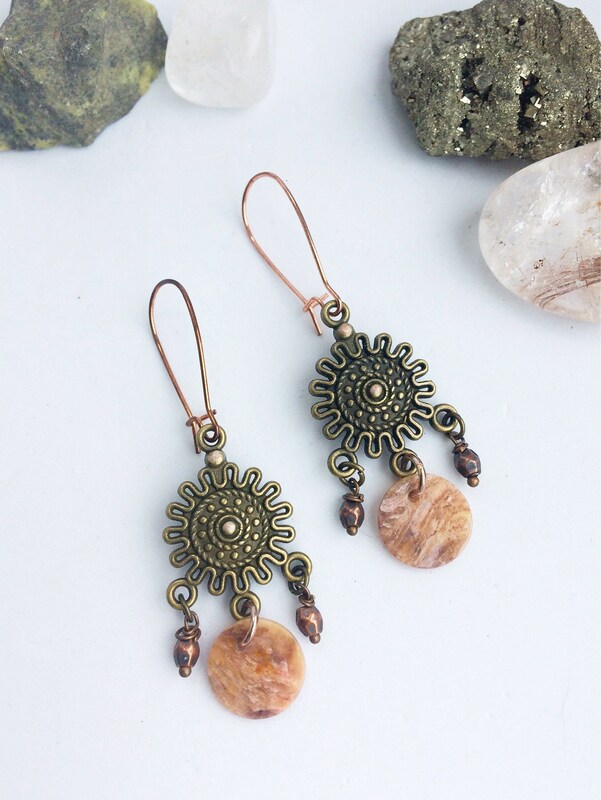 A unusual pair of bohemian earrings with delicate pink-brown shell beads. 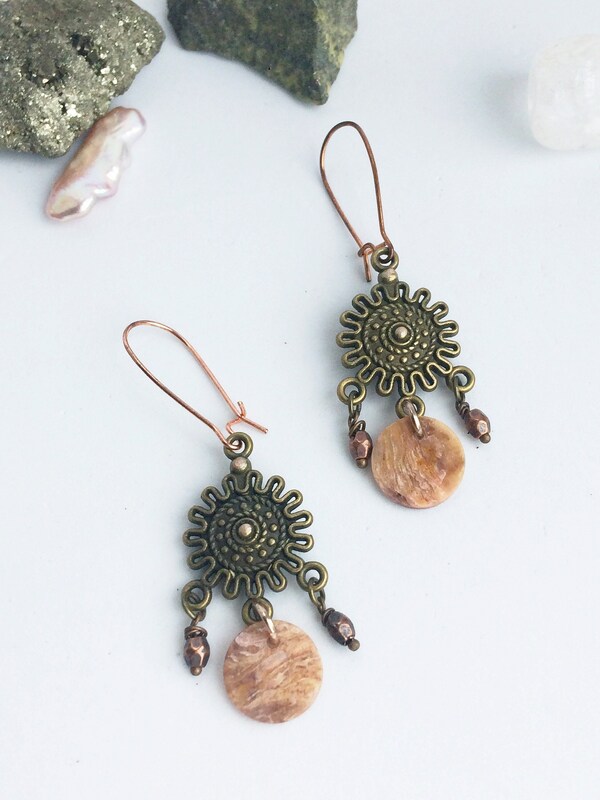 I made this with the beach in mind and they are great for a fun summer look. 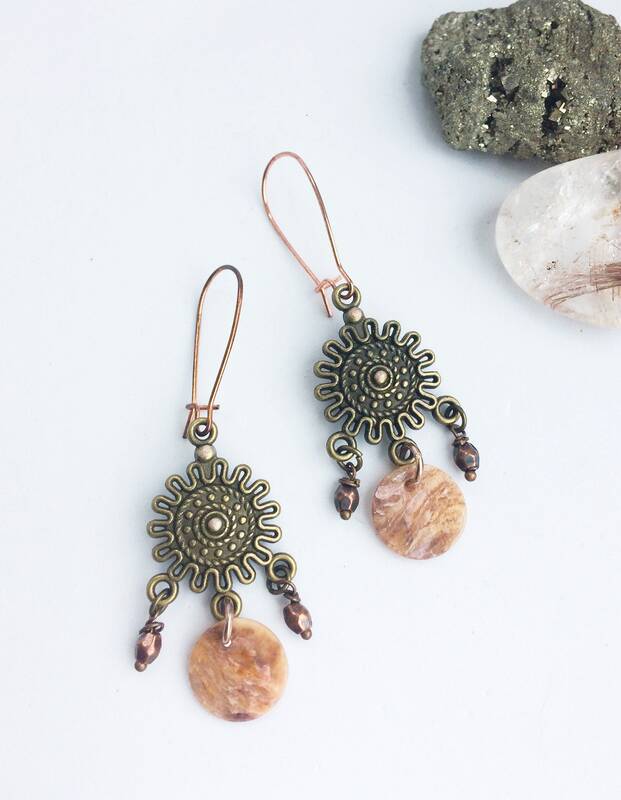 The earrings have a decorative antique gold coloured pendant to which I added pastel pink small painted details to match the shell and rose gold ear wires. 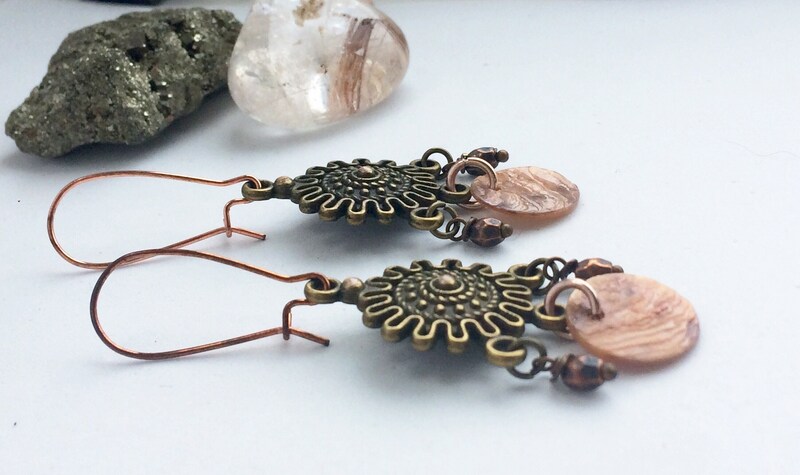 The kidney style latch back ear wires measure 2.3cm. 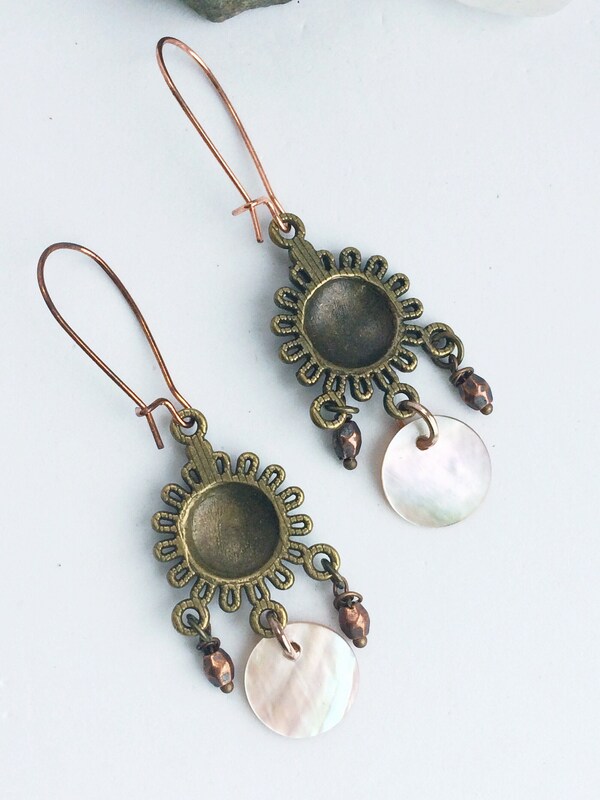 The total drop length of the earrings is 4cm and the shell beads are 12mm big. 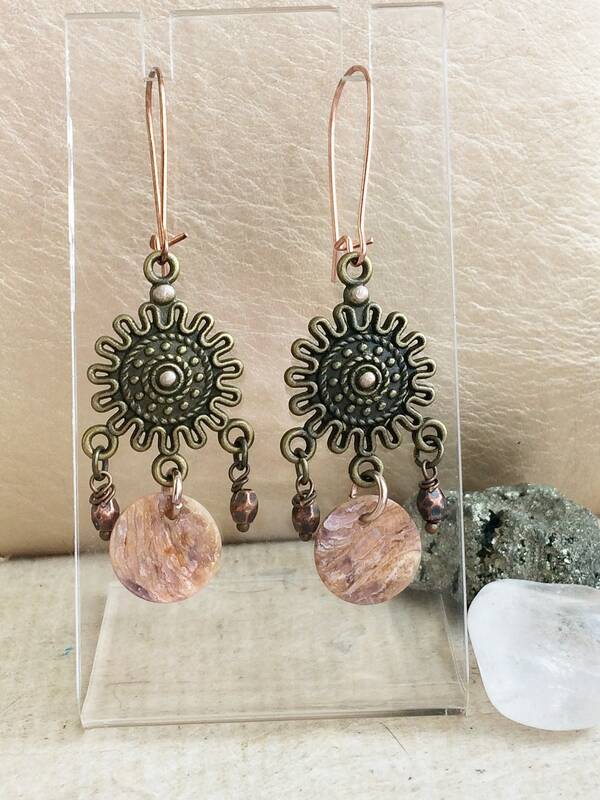 The design is complimented by rustic copper beads to make a eclectic cluster style dangle drop.